They’ll make sure of it. 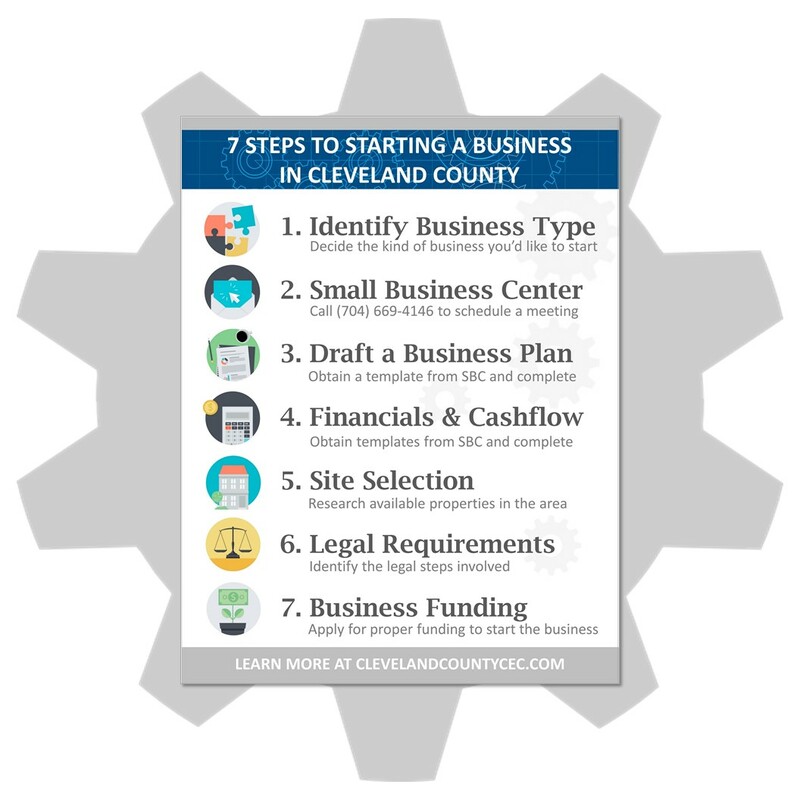 Download the “7 Steps to Starting a Business in Cleveland County” to launch your entrepreneurial venture on the best possible footing. We are proud of our small business community and want to offer helpful tools, resources, and support to ensure a higher rate of local success. Please check out the pdf and then contact the Small Business Center at Cleveland Community College to keep moving forward! The Certified Entrepreneurial Community (CEC) program is an economic development strategy that equips communities to become entrepreneur-ready. Cleveland County, NC is scheduled to be awarded CEC designation in December 2016.